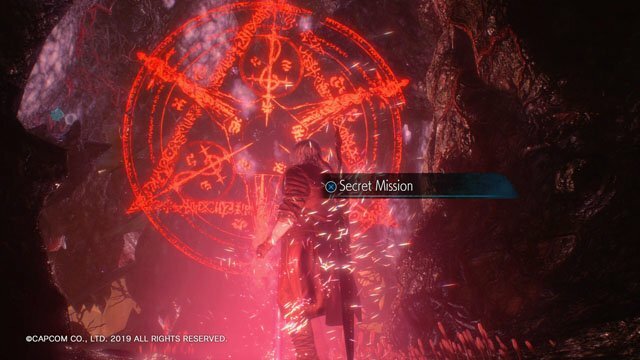 Devil May Cry 5: All Secret Mission Locations. 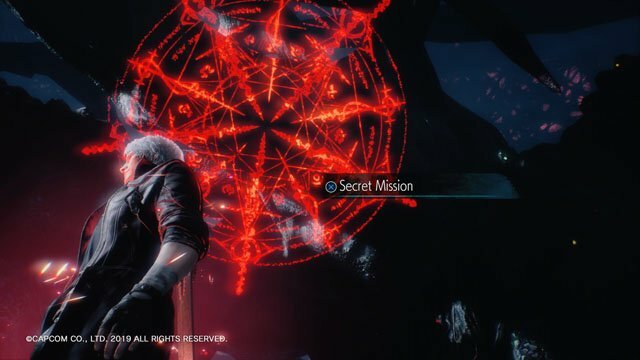 In this Guide, we’ll show you where to get access to all Secret Missions in DMC 5. 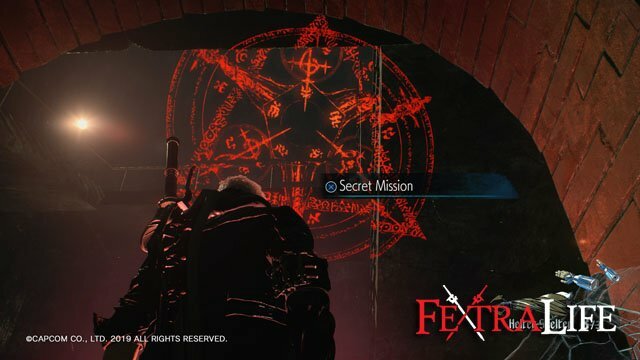 There are a total of 12 Secret Missions you can find, and some of them are very very well hidden. 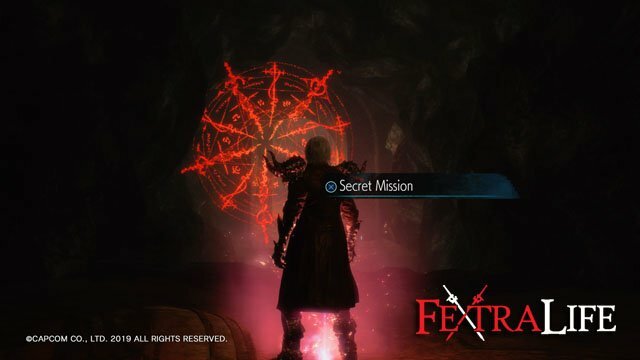 Once you find a Secret Mission you can play it at any time from the Main Menu. 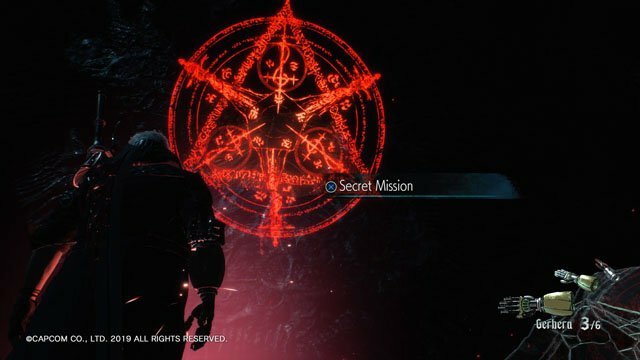 Secret Missions grant the player one Blue Orb Fragment for completing, so they are worth doing to increase your Vitality. This will allow you to get hit more without dying, saving you valuable Gold Orbs. 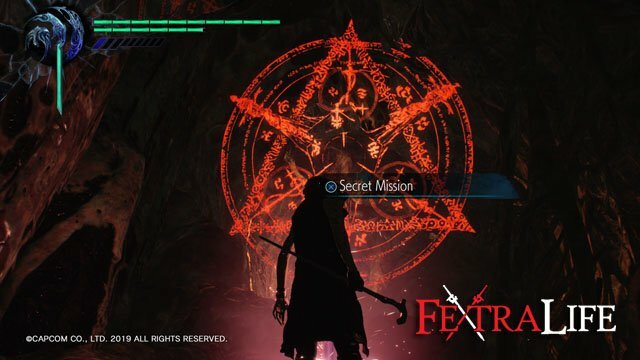 After using the second Nidhogg Hatchling, you will come to the first Secret Mission and the game will give you a tutorial on how to find them. 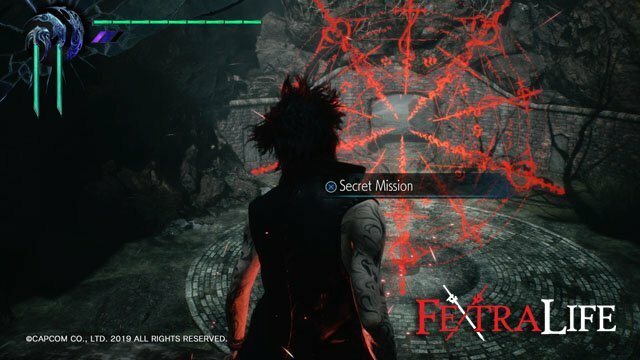 By completing the Secret Mission (defeating the enemies in time) you will gain a Blue Orb Fragment. 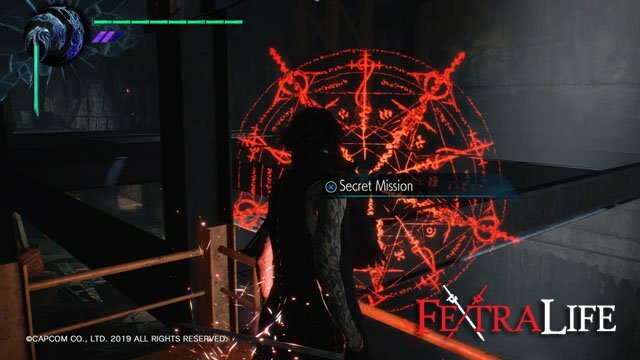 There is a Secret Mission as you enter the stairwell in the sewers after breaking the Qliphoth roots, and a short cut scene will show you where you need to go when you enter this area. Jump all the way to the bottom and look up to reveal Secret Mission #2. Don’t let any of the Red Empusa escape to receive another Blue Orb Fragment. Use the second Nidhogg Hatchling at the end of the street to the left of the white van to open another door that leads up to Secret Mission #3. You’ll go up some stairs and jump through a whole in the ceiling to get here. This Hatchling is located behind a hidden wall that you must use Nightmare to open a bit before this area. See our Walkthrough for specifics. After attacking Qliphoth roots some enemies will spawn behind you. 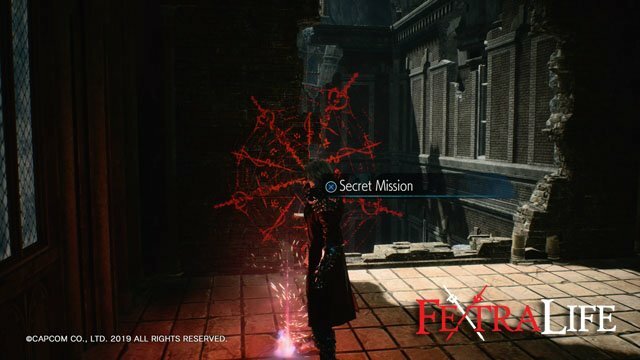 Use Nightmare to break the wall where they spawn to reveal another area containing Secret Mission #4. You will need to go up the steps to get the vantage point. You’ll find Secret Mission #5 by going up the second lava lift (this will be the second one you’ve used), and jumping off to the right before you reach the top. Use the Grim Grips to get to a landing up above. Drop down, and step on the spot to reveal the Secret Mission behind you. 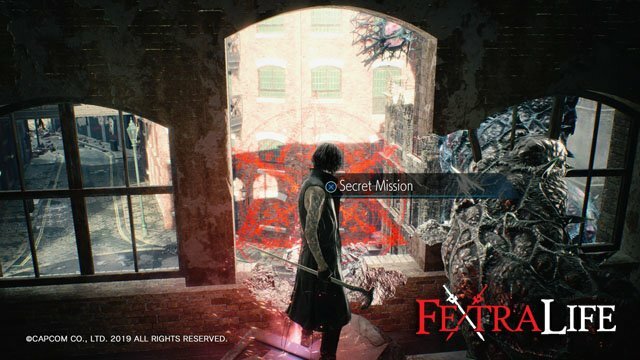 Summon Nightmare to destroy roots that block the path, jump onto the stairs at the back of this area and look at the entrance to find Secret Mission #6. 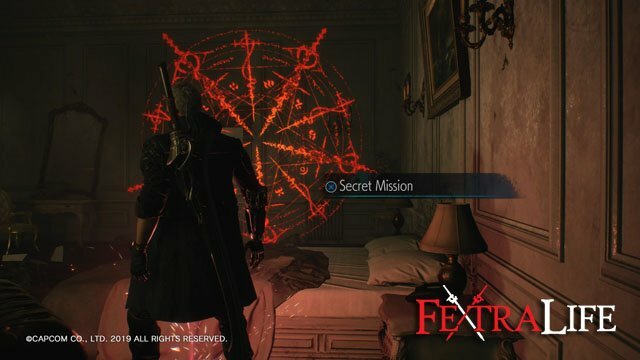 Secret Mission #7 is located through a jagged teeth door in the room with enemies that has two of these doors. Taking the right-hand one from where you entered this area will take you here. The best way to complete this mission is to wait for the Death Scissors to attack and then attacking with your sword at the same time and then quickly firing your Pistols or Shotgun. You’ll find Secret Mission #8 after you destroy the first vine in the building area (second vine in mission) and go backwards and jump to the highest point you can, then look backward at the building. After dropping down the hole revealed by a statue, you will come upon a set of stairs that lead upward fairly quickly. Jump onto them, and them turn around and jump up. Find the spot there on the landing to reveal Secret Mission #9. The best way to complete this Mission is by using the Cavaliere and double jumping and then just spamming Triangle while mid air. 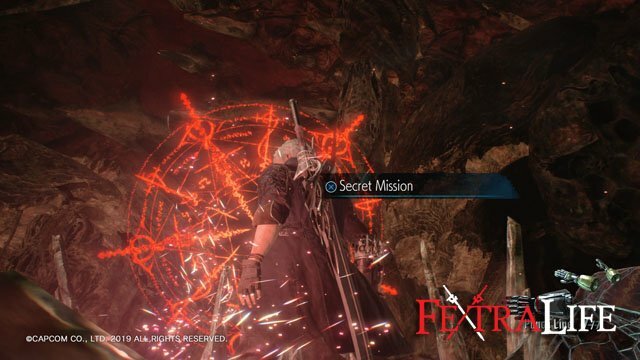 After destroying the second set of blood roots, if you head forward a little bit to the corner and look back you will find Secret Mission #10. 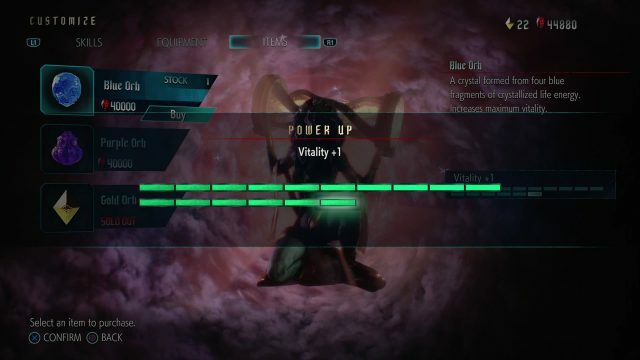 Once you get to the Divinity Statue you can go two ways. If you go one way then you will gain a shortcut scene nearly immediately that shows you how to use the Punch Line Jet. This will take you to Secret Mission #11. You will find a room where you can jump across using a breakable platform, or you can go down. Make your way down and fight a group of enemies at the bottom, instead of jumping across the platform, and then make your way down to above the Purple Orb Fragment, but go on the opposite side of this area. There will be a breakable platform and a Red Orb Tree. Just through the opening, you can drop down twice to a ledge and look up and back to find Secret Mission #12. You will need the Dr. Faust upgrades for this.